The Rocky Mountain Ropes Course was designed by Christjan Ladurner and build with the help of his friend and business partner Paul Vidalin. 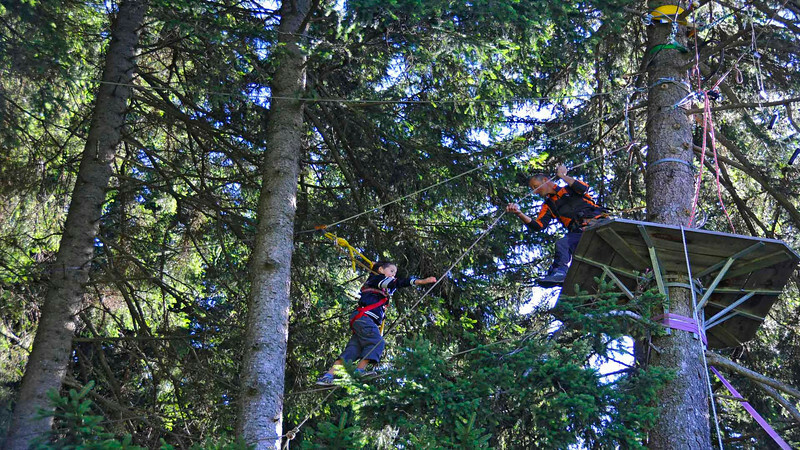 The obstacle course runs high in the trees at Rafter Six Ranch outside Canmore, Alberta (Canada) and ends with a thrilling zip line ride. Unfortunately in 2015 Rafter Six Ranch was sold and closed down as a business. had to close down due to lack of interest by the new owner of the Ranch.